Tokyoidaho are gearing up for a weekend gig at The Comet Tavern on Saturday the 17th. Soft Hills and Kingdom of the Holy Sun are on the lineup too, with Boat headlining. This trio's (plus live member Projectorhead bringing the visual oomph) last release was the September full-length Tokyoidaho. Take vocals a little reminiscent of Trent Reznor, throw them in a capsule with haunting guitarwork, rolling drums, and pulsing synths, and one may begin to grip the band's sonic protocol. But only barely. Opener "Other Places, Other Places" navigates some seriously celestial terrain with its stargazing shoegaze. Warped sounds ebb and flow like a form of echo location as the beat stays steady with ghost-hits to spare. "Oberheim Sunshine," contrary to its title, presents a darker vista than some of the tracks. The synth-work features more prominently. The singing is earnest and dramatic, revealing uncertainty about the days and nights to come. The song is neither sugar-sweet light or disturbingly morose, occupying a middleground content with curious exploration. 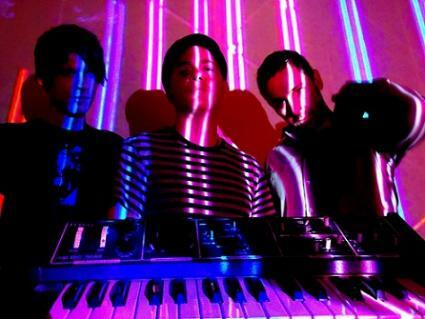 Their experimentation with shoegaze/pop/alternative rock spins routine categorizations through the blender. What plops out on the other end is not found in nature, certaintly. But neither does the music hail exclusively from the deep regions of space. Tokyoidaho's ability to bridge melody and weird aural delights deserves notice. Check them out live on the 17th of November at The Comet. Tickets cost $8 apiece and the doors are at 8:30pm. Listen to "Oberheim Sunshine" and visit their bandcamp to stream their self-titled record and pick up a physical copy.